In the NHL, few things correlate more closely to winning hockey games than scoring the first goal. Over the course of the last five seasons, only seven clubs have won more than 50 percent of their games after conceding first, which means that from 2012 to 2017 more than 95 percent of teams have a worse than .500 record when their opponent opens the scoring. But when the Florida Panthers winger Jamie McGinn pushed a puck past the Boston Bruins Tuukka Rask during a goalmouth scramble before the five minute mark of Saturday’s matinee matchup between Florida and Boston, there were no signs of concern on the home bench. It’s a testament to the resilience and fortitude of the 2017-18 Bruins, who are currently the only franchise with a .500 record or better when trailing first this year. If recent history is anything to go by, then it’s also a statistic that bodes well for Boston’s Stanley Cup chances. Tallies from Nick Holden and Jake DeBrusk reversed Saturday’s deficit against the Panthers before the end of the first period. 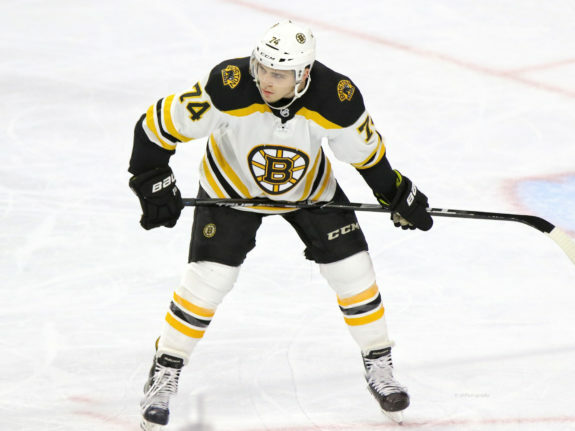 They were backed up by a three-goal second period, and the Bruins would complete a dominant 5-1 victory to reclaim top spot in the Eastern Conference. The result improves Boston’s league best record when conceding first to 20-15-5. The Tampa Bay Lightning (18-16-3), Vegas Golden Knights (17-17-5) and San Jose Sharks (17-17-6) are the next best performers in that category, but none touch a .500 mark. Failing to score the first goal has significant consequences for even some of the league’s better teams. For example, the Toronto Maple Leafs own an .804 win percentage when taking the lead, but are only .313 after falling behind. Such disparities could be viewed as a sign of imbalance or of potential flaws that may be exposed during the postseason. However, it’s probably more telling of the ability of the Bruins to play the same way regardless of the scoreline. Balance has been the name of the game for Boston this season. They possess the best goal differential (+61) in the league, while ranking third in the NHL in both goals per game (3.31) and goals against per game (2.52). No other team ranks in the top five for both of those statistics. Hitting back quickly to erase a deficit before an intermission appears to be one of the secrets behind their success. The Bruins are just 6-12-4 when trailing after one period and they’re 6-15-4 when trailing after two periods, both sub .300 records. It’s worth noting that neither of those marks compare unfavourably with the rest of the league, in fact the Bruins are the NHL’s third best team when entering the third period down by a goal or more. A Prelude To Postseason Success? A late surge to the pinnacle of the Eastern Conference, a trade deadline splash with the addition of Rick Nash and resilience in the face of significant injuries both early and late in their 2017-18 campaign have placed the Bruins firmly on the map as a Stanley Cup contender. Sturdiness in the face of giving up the first goal is a common characteristic among teams who have recently won the cup. 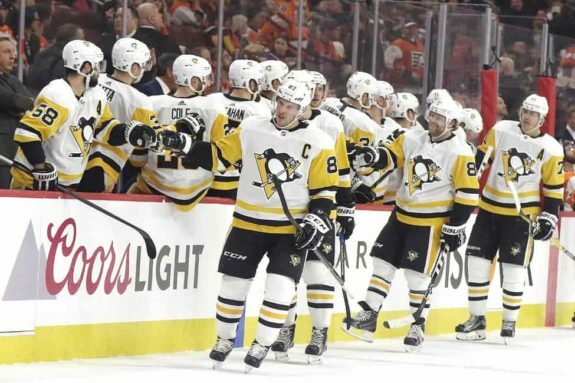 In 2016-17, no side was better than eventual champions Pittsburgh Penguins in those situations, they finished the year with a 20-11-4 record when trailing first. They were not quite as good as that in 2015-16, but an 18-20-7 marker was still good for fifth best in the league. An experienced and high-powered Chicago Blackhawks’ roster bucked the trend in 2014-15 when they peaked at the right time to win their third championship in six seasons. They ranked just 12th in the league when trailing first owning a 13-19-4 record in that category. However, the ability to bounce back from conceding first was a key attribute in each of their other championship title seasons, where they ranked second in 2012-13 and fourth in 2009-10 for that same metric. Boston has conceded the first goal surprisingly often considering their overall record. They’ve had to come from behind in more than half of their games so far in this campaign – a total of 40 occasions out of the 77 games to be precise. Head coach Bruce Cassidy will have been pleased with the guts and combativeness of his players, especially considering the youth on the roster. However, he’ll undoubtedly be hoping that they don’t make too much of a habit of conceding first in the playoffs, where the games will get tighter. For now it’s a difficult to explain part of this roster’s DNA, but the Bruins’ faithful will be hoping that the atmosphere of a playoff series sparks the same level of intensity that this team shows when they go down by a goal.